The Senate voted 38-31 against the proposed measure, which would have legalized a woman’s right to seek an abortion into the 14th week of pregnancy. The bill had narrowly passed in the lower house in July. 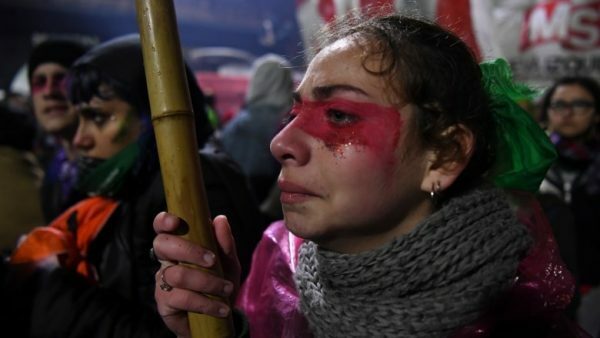 Families and clergy in baby-blue bandanas gathered outside the congressional palace as the result came in just before 3 a.m., waving Argentine flags in support of the Catholic Church’s anti-abortion stance in Pope Francis’s home country.